What a fantastic result! 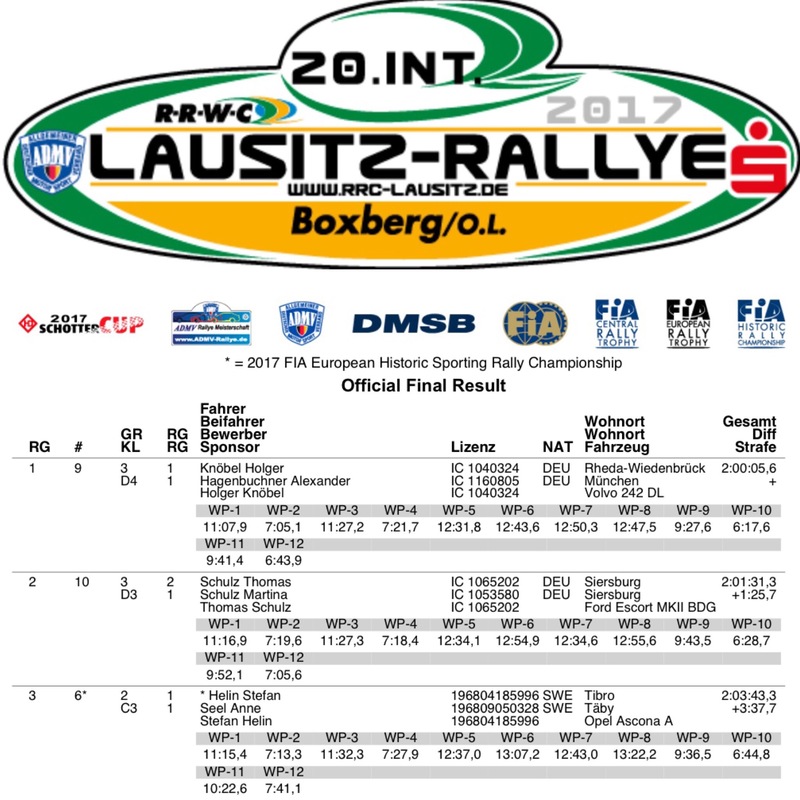 Stefan Helin and Annie Seel on the podium, finish third general in the European Historic Champiobship Lausitz Rallye in Germany. And also winning their class! 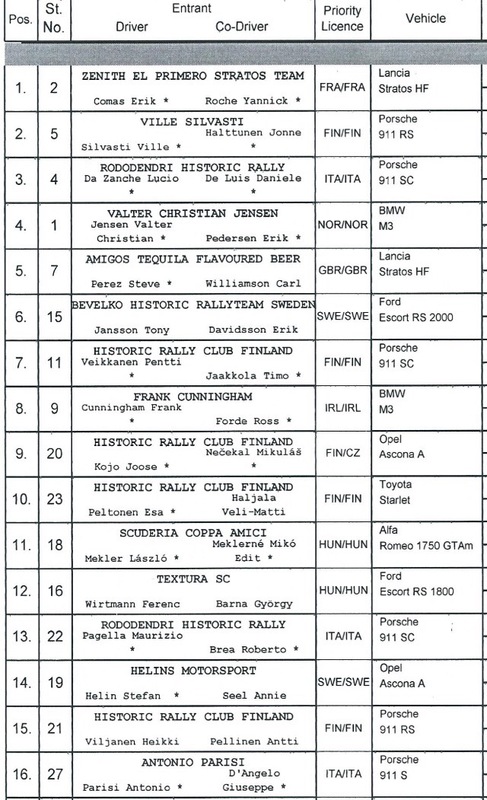 The rally was very demanding on the historic cars. 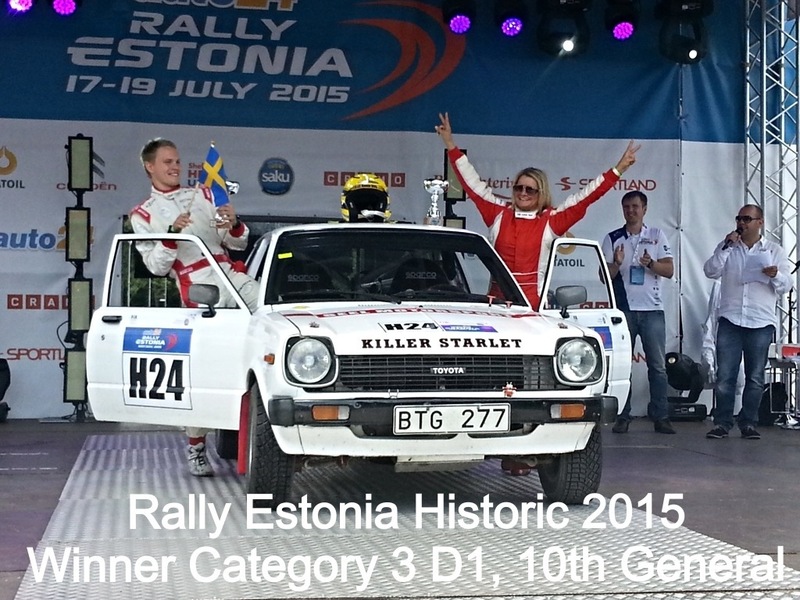 170 km of special stage on many different types: gravel, asphalt, concrete, soft sand and slippery mud. The second lap the stages ver rough and rutted from all previous cars. 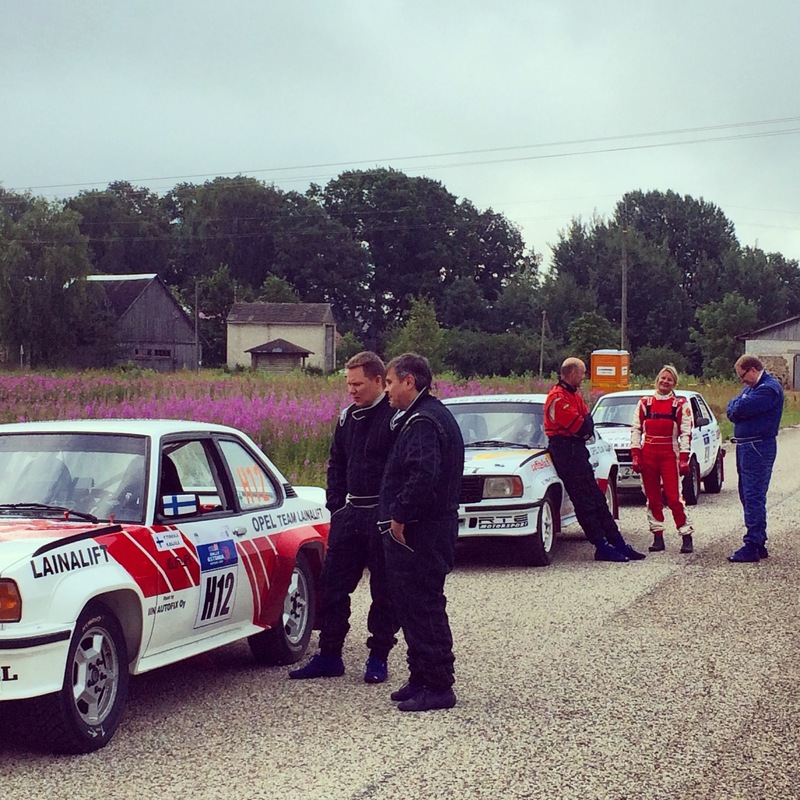 Six of the stages were run in the dark, making the drive even more of a challenge. The team worked hard to keep a good pace, still saving the car. 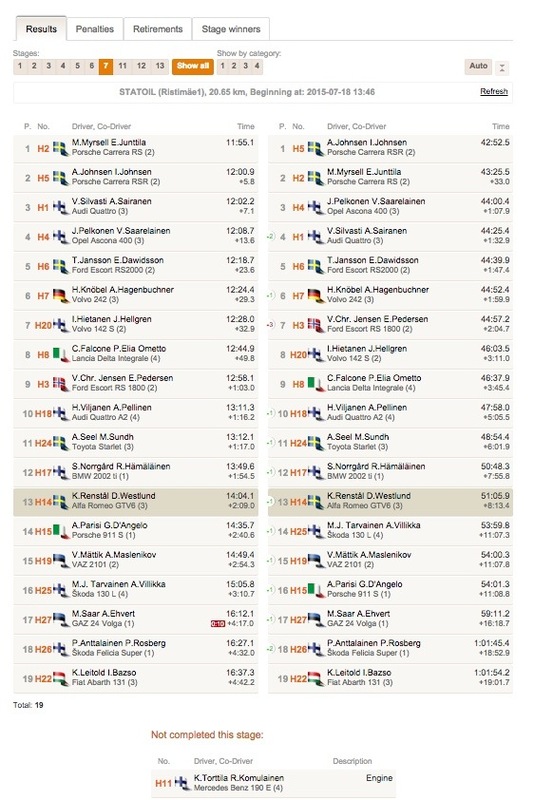 Some technical issues with overheating at the first night stages. A quick change of radiator at service by super mechanics Lucas and LP. Then later on radiator fan stopped working causing overheating again, and hot coolant water spraying the windscreen. 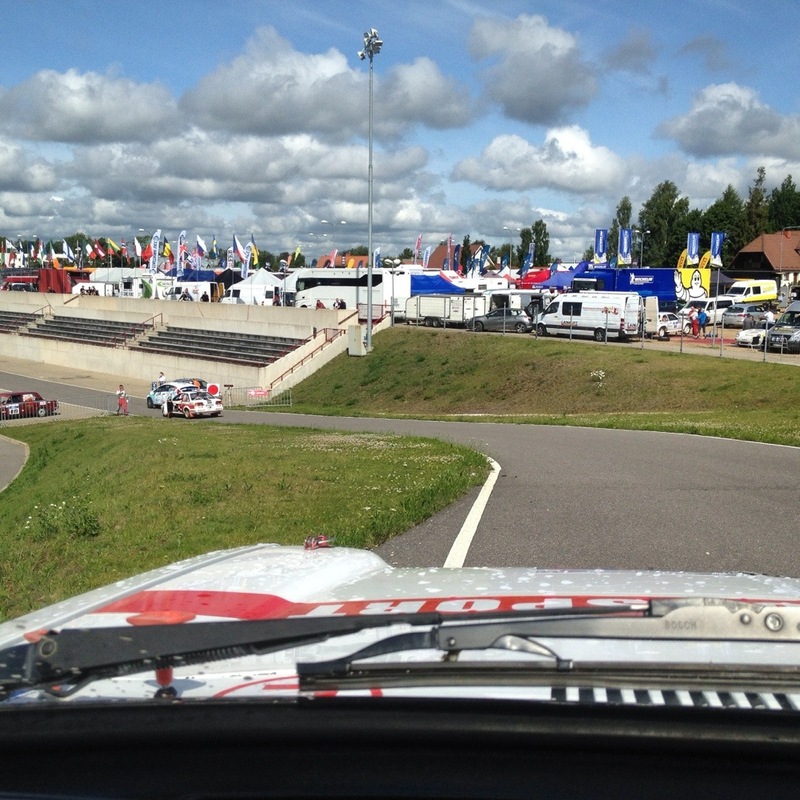 Second day stages varied from twisty narrow and slippery to really fast. 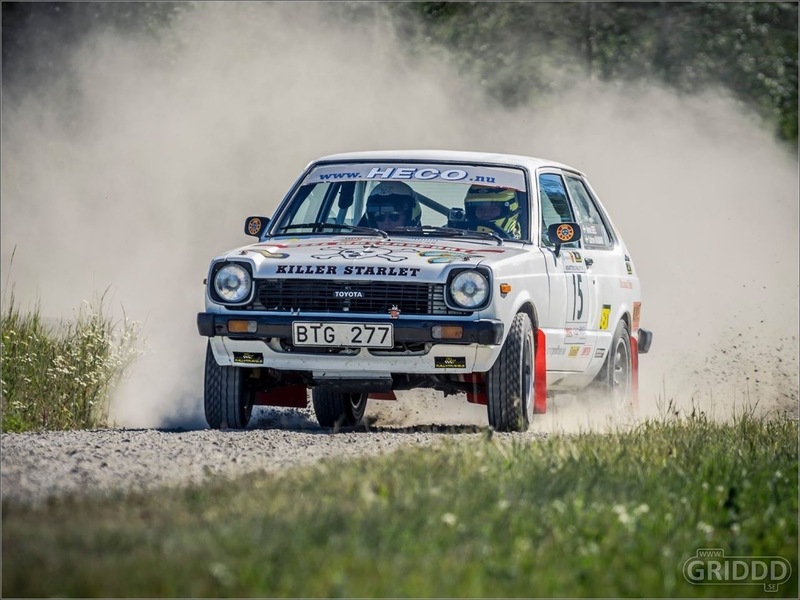 The poor Opel Ascona was on top revs but only reaching 145 km top speed, loosing time to the faster cars doing about 180-200 km per hour. 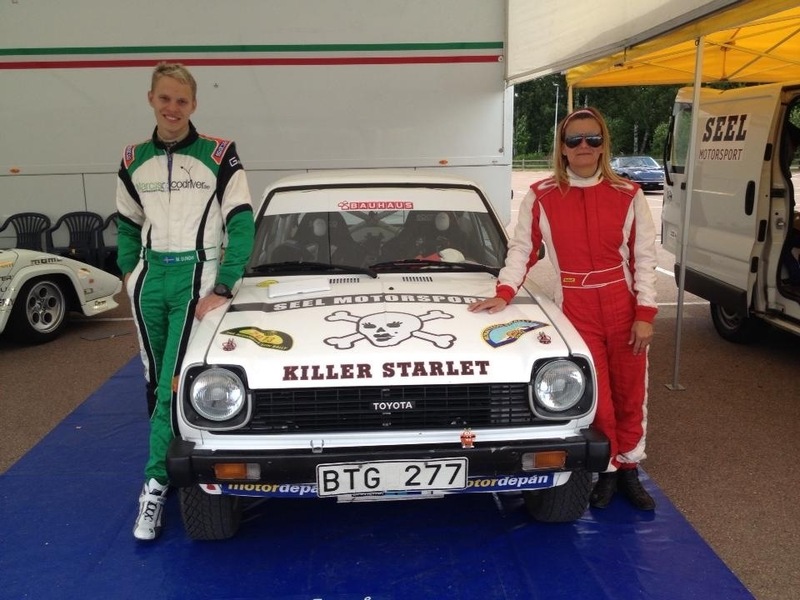 The strategy was to try and keep the car out of trouble, and make clean stages. Some of the other competitors had trouble, two got a few turns wrong and got lost, and some others even got stuck in the soft sand! 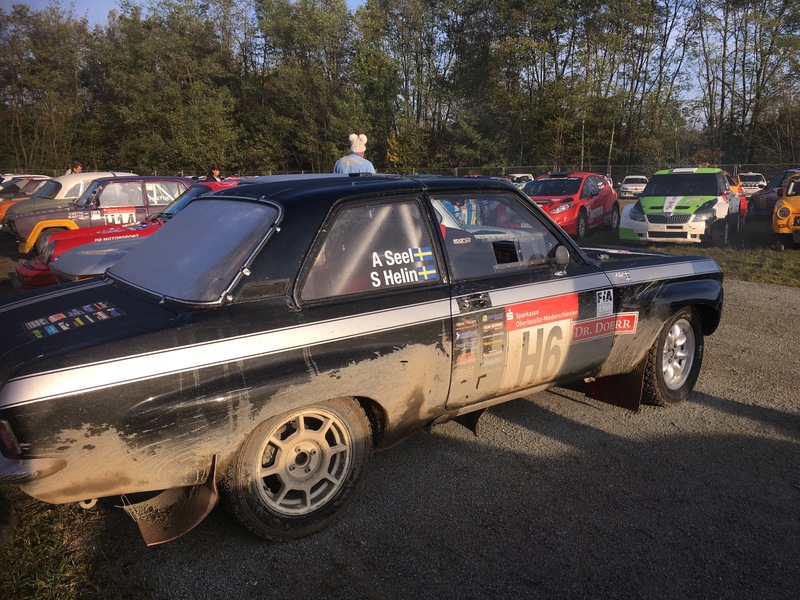 Last two stages took their toll on the historic cars, forcing Jari Latvala in his Toyota Celica to withdraw with electrical problems. – It feels great to reach the finish and be part of the team’s success. Our smooth drive strategy worked out and the service crew did a great job. 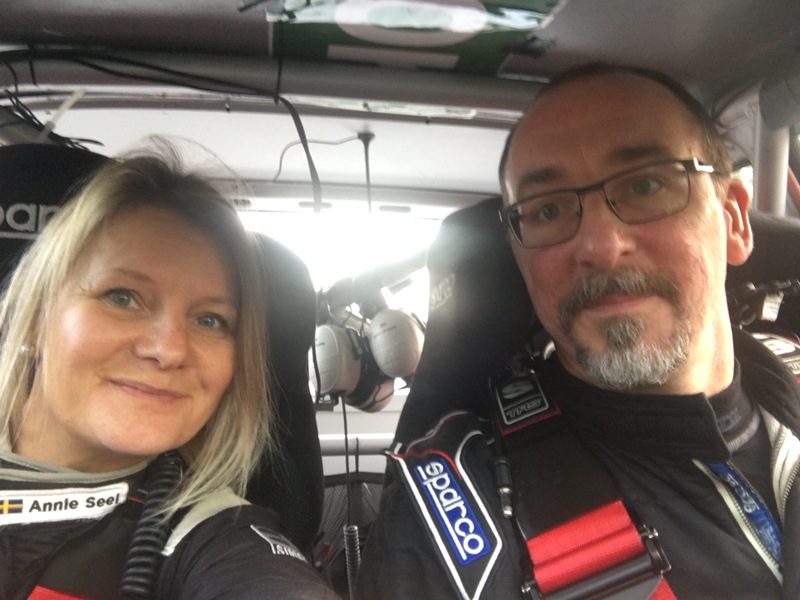 Thanks to team Helin Motorsport for having me onboard. 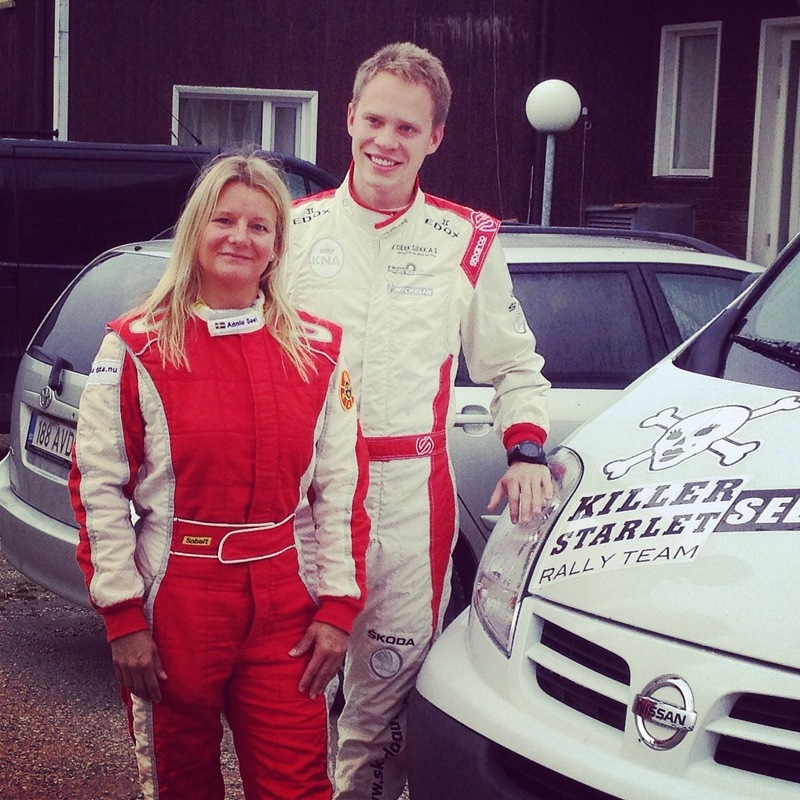 And wishing codriver Lotta Lundqvist a speedy recovery. I’m happy I could jump in on such short notice and help out. Even happier now that we claimed a podium finish! 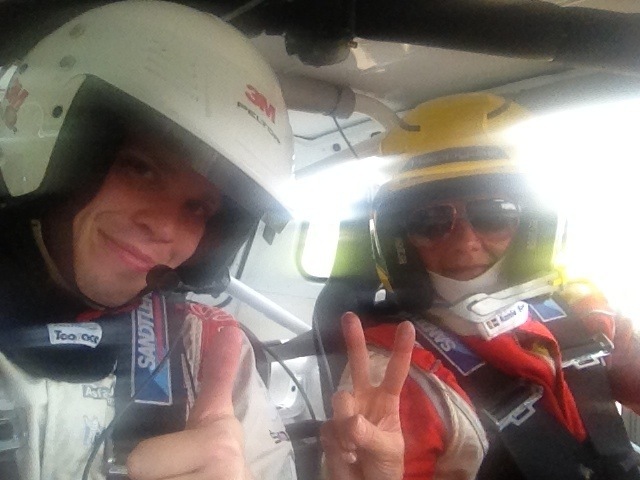 Also thanks to the organisers of Lausitz Rallye for a challenging and nice rally. More thanks to all the fellow competitors, everyone being helpful and in good spirit. Hope to see you soon again. 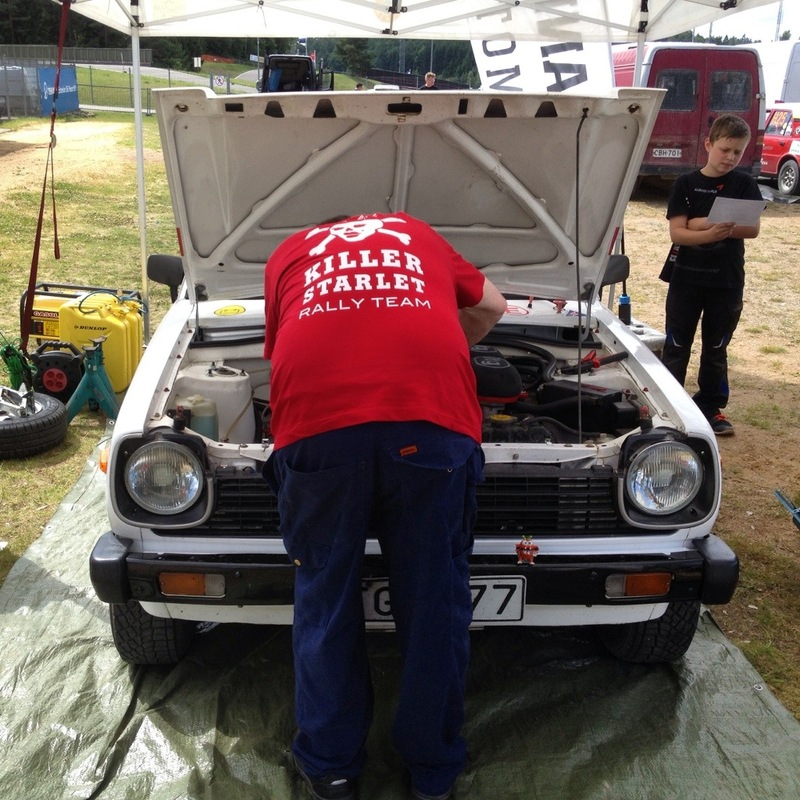 This entry was posted in Dakar and tagged Annie Seel, historic, lausitz, motorsport, rally. 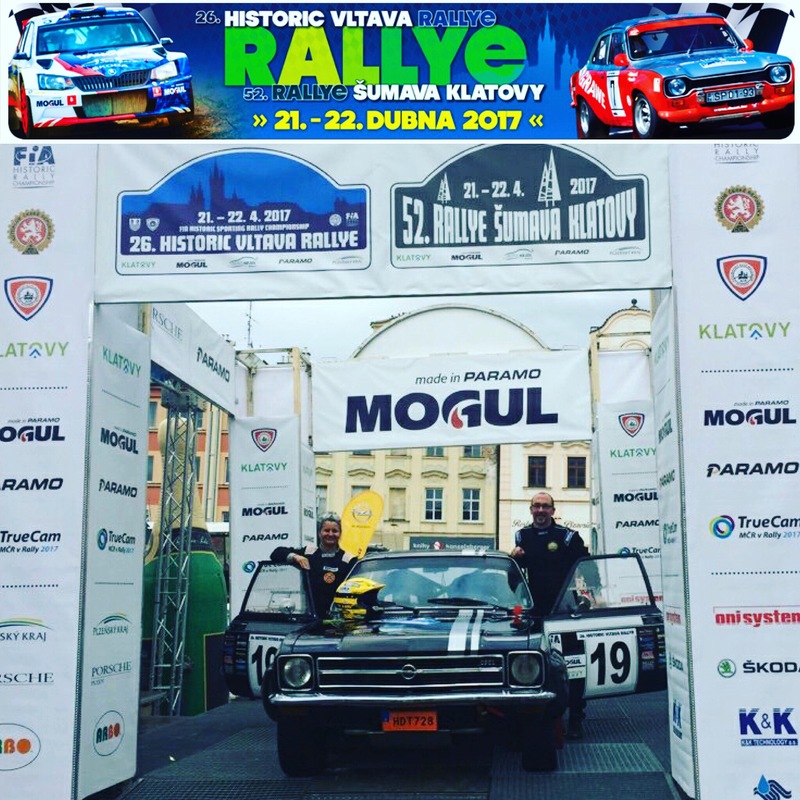 Stefan Helin and I finished 14th overall, and 5th in class, in the Historic Vltava Rallye after an eventful race! The weather in Czech has been very challenging, cold, snowy, rain, sunshine! Last day was raining and we only had dry tyres on, due to new tyre regulations our wet tyres were not eligible. It was slippery all the way to the finish. Our Opel Ascona A 1972 has worked perfectly every day! We are so happy to roll over the podium. Only 25 out of more than 70 starters reached the finish! 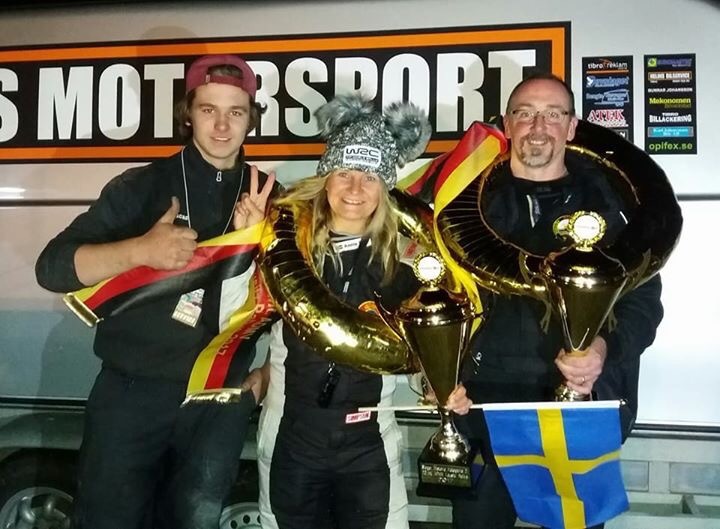 Thanks to my Helins Motorsport Stefan Helin, and mechanix Lucas Helin and Peter Larsson, excellent job. 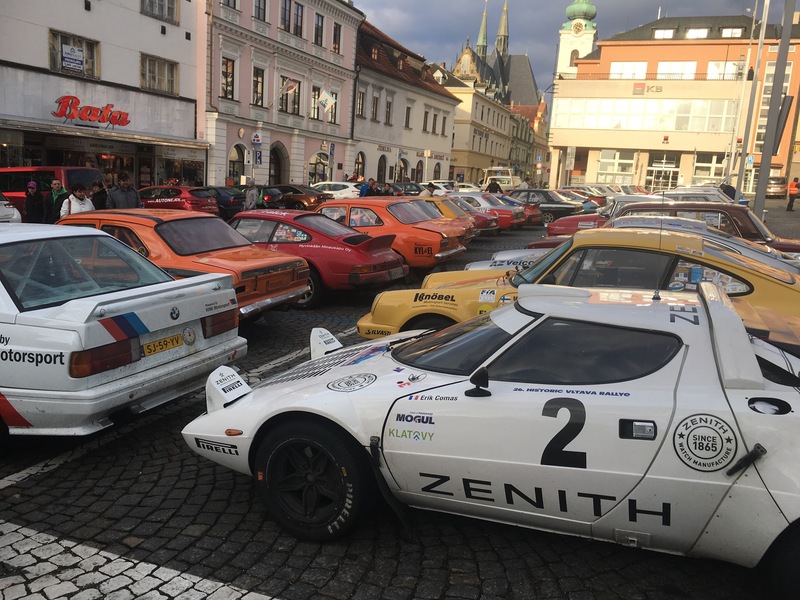 This entry was posted in Dakar and tagged ascona, historic, opel, rally, vltava.